Would you believe I still have Christmas posts to do? I do. How terrible of me. I will post them soon and everyone will forgive me because I'm lazy and the posts are awesome. In the meantime, I thought I would slap together a quick cake round up. Here are some of the cakes from the last year or so that I have made. Some of these have been on the blog, some are yet to be posted because of my aforementioned laziness and some are wedding cakes that you may have seen on my Instagram account. So here is my cake round up! Ahh cheesecake. My Caramel Easter Egg Cheesecake. I thought about whether or not to include this, since it's not a cake-cake but it is so damn good, it would be a crime not to include it. I've made this cake with non-Easter Caramello chocolate and it worked out amazingly. It's interesting to see the quality of the photo too, taken on my iPhone. I might revisit this recipe and take photos with my lovely new Canon 700D. And then I would get to eat another cheesecake! Oh Eggnog Cake, Oh Eggnog Cake, how pretty is your fondant wreath! This was a great cake with a wonderfully spiced flavour. The decoration was so easy and looked amazing. This cake was epic. The Chocolate Fudge Cake with Salted Caramel Buttercream, Salted Caramel and Dark Chocolate Ganache. Such a descriptive title. Says it all. Literally. I shifted this cake slightly after I poured the ganache and the drips got messed up. Also was the first time I tried moody photography, didn't quite work on an iPhone. The cake sure tasted good though. Sugar. Coma. This is a photo of a wedding cake that I did for a ceremony on the Tweed Coast. There were flowers that were yet to go on the cake but I wanted to get a photo of the cake before it went down. The gold was edible fine glitter dust and vodka painted on. I wish I had a photo of it with the flowers on, it would have been amazing! 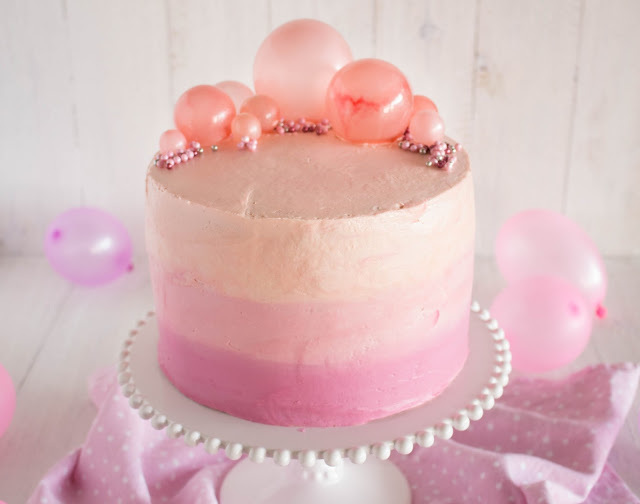 The bubbles cake! The Pink Bubble Strawberry Butter Cake. I made this cake to test out making an ombre cake and also to test out my new camera! Aww this cake will always have a special place in my heart now. A Cassie Cakes turning point. Here is a teaser for an upcoming post. 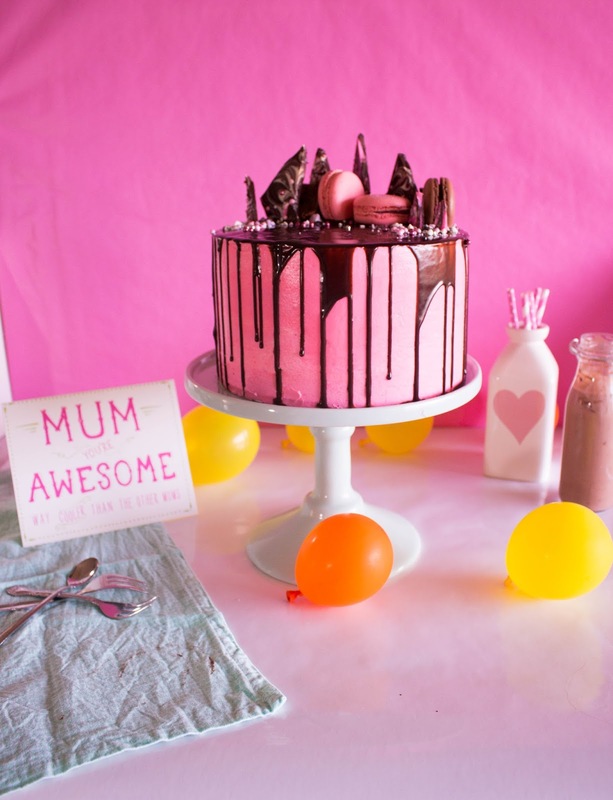 A Pink OTT Mud Cake I made for my mums birthday, inspired by all the Instagram stars around at the moment. This pretty layer cake was made for my Grandmothers 90th birthday. I love the light in these photos and can't wait to share the rest of them with you! 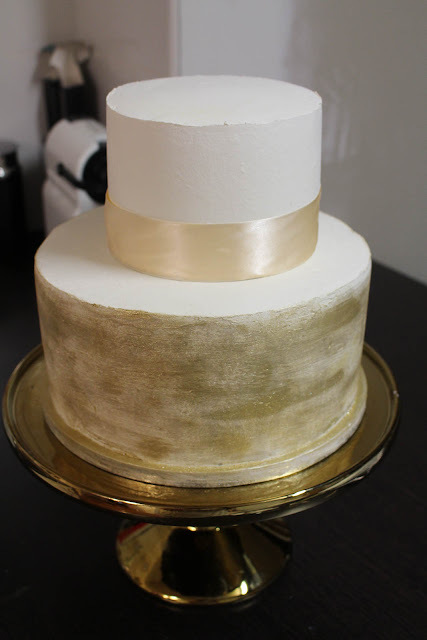 Finally, this is a wedding cake I made for a fantastic New Years Eve wedding, officiated by the most talented celebrant, Annie from Celebrant Lady Love. This post is like a clip show, which I hate but I should have a post up this week. A Christmas post, cos why should Christmas finish in December? I'll tell you why, cos that's the rule. Laziness trumps rules though. Do you need a cake for a special occasion? Get in contact with Cassie Cakes via cassiecakes@live.com.au or Facebook to discuss.